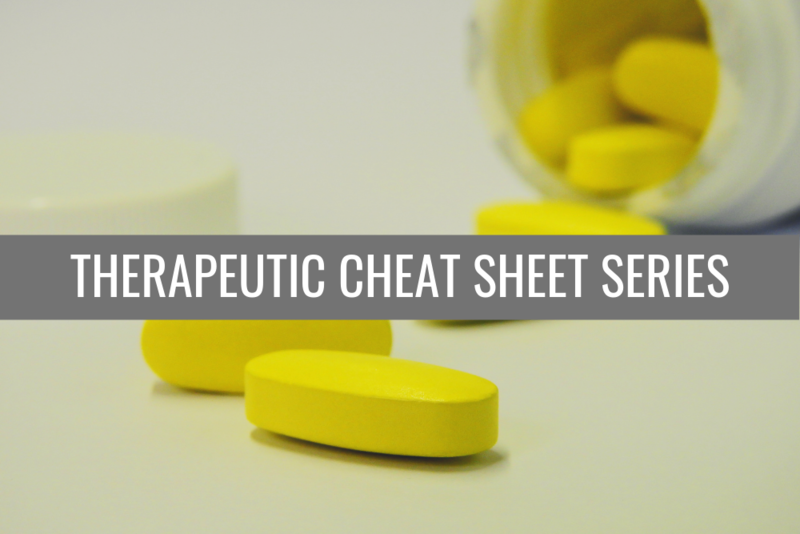 Welcome to our new series, Therapeutic Cheat Sheet, wherein we take a deep dive into the literature and guidelines to give you a quick reference on the use of new or complex therapies. 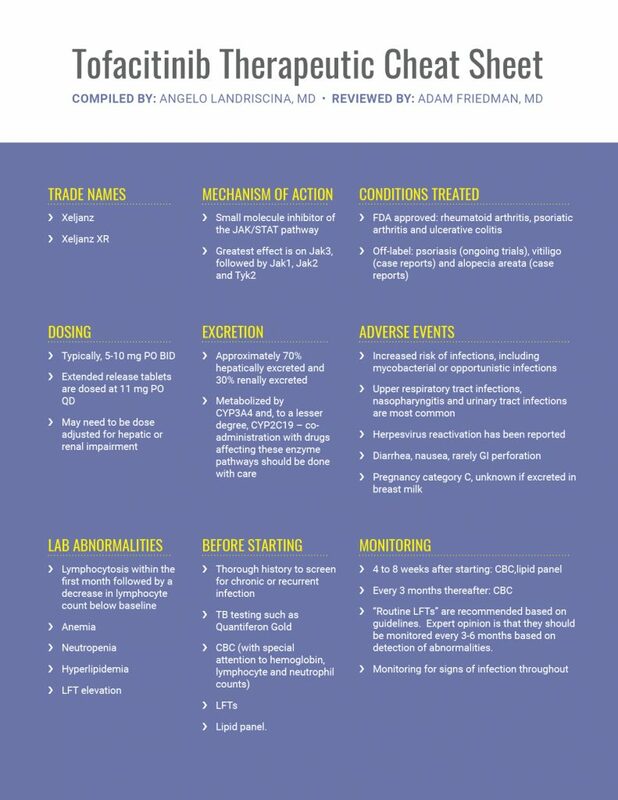 This series will become your go-to for information about dosing, potential interactions and laboratory monitoring, just to name a few. First up: Tofacitinib. Click to download and print PDF version. Did you enjoy reading this post? If so, find more articles on Medical Derm here.